The better condition the house is in, the better quality tenant that it will attract. Your home must be left in a professionally cleaned condition as the tenants will be paying a non-refundable cleaning fee. DOVE PROPERTY MANAGEMENT prefers to arrange this cleaning to insure that the cleaning guidelines are strictly followed. The carpets must be freshly cleaned and all debris and personal belonging removed from the house. It is not always necessary to paint, but you should consider painting any room that has dirty or marred walls. A neutral color is best. 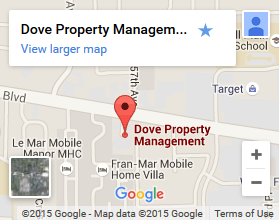 DOVE PROPERTY MANAGEMENT will be happy to discuss any necessary repairs or painting with you. Neutral window coverings such as blinds should be left, but not curtains that match a particular bedspread or couch. Tenants moving into a rental property do expect some sort of window coverings to be provided for privacy and safety. How will you find tenant for my house? How long will it take? We aggressively market online through Craigslist.com and 200+ rental housing websites. We also partner with Clark County real estate agents and relocation offices of major companies to market to prospective residents. It normally takes two to four weeks to rent a home. It sometimes takes longer in the winter. A home goes on the list of available properties as soon as we receive notice from the existing tenant and permission from the owner to re-rent. How do you choose the right rental price? 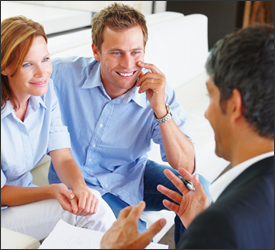 Pricing your home correctly from the start is very important. You don’t want to give away profit or overprice the home so that it sits vacant for a long time. DOVE PROPERTY MANAGEMENT will work to achieve the best rental price the market will support at the time we begin marketing. We will be happy to start a little higher than our suggested rent amount if requested, but please understand, we will be very candid when we quote a suggested rent amount. The overpricing of your property by some management companies is unfortunately done in order to obtain a signed management agreement. This initially will make an owner happy because it is what they want to hear. This often leads to the unhappiness of a long vacancy and one or more reductions in the asking rent before the property finally rents. This will not give the owner the best return of their rental income. Do you collect first and last month’s rent? The most common move-in cost is about two months rent. While you can collect first and last month’s rent, it is generally preferable to collect the first month’s rent plus a security deposit. A security deposit can be used for any owner turnover costs while a last month’s rent can only be used for rent. As well as first month’s rent, we normally collect a non-refundable cleaning fee sufficient to have the property cleaned upon resident vacating the home and a refundable security deposit, the total of which is approximately one month’s rent. The property is automatically professionally cleaned between each tenant. Security Deposits are held in a Client Trust Account, as mandated by the Washington Real Estate Division. A security deposit is taken at move-in to minimize the risk of tenant damage. Tenants who pass our screening criteria generally do not create any damages over the amount of the security deposit. Our screening company checks current and past employment and rental history as well as public records including criminal, credit and eviction history. The rent is due on the first of each month and considered late after the fifth. If not paid by the eighth of the month, we will take the first step in the eviction process, which is to send to the tenant a “72 Hour Notice” to pay the rent or vacate. If they have not paid by the end of the notice period, we will notify the owner and file at the courthouse for a FED (eviction) hearing, which would be held within ten days. You will be required to pay the initial filing fees (which are later charged to the tenant) but there is no additional charge for our time. If an attorney is necessary you will be responsible for any legal fees. 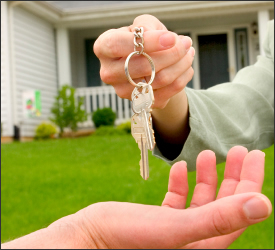 The tenant is responsible for the rent for the term of the lease. If they are forced or choose to leave prior to the termination date, they will be charged for the rent until the property is re-rented to acceptable persons under the same terms and conditions of the original lease and they are also responsible for the cost of new tenant procurement for the property, 50% of one month rent ($500 minimum), and any advertising cost. Who does the repairs on the properties you manage? We use outside contractors depending on what needs to be done. They work at competitive rates and are licensed and bonded as appropriate. You are billed for exactly the amount of the vendors invoice; we do not charge for supervision of normal repairs. Rent payments are due on the 1st of the month and are late after the 5th. Rental funds must have cleared the banks before we can begin disbursing funds. We begin the payment of bills for vendors by the 10th of the month, which will allow for owner disbursements by the 20th. By the 15th you will receive the previous month’s Owner Report in an emailed link, which will have all activity on the account for that month. 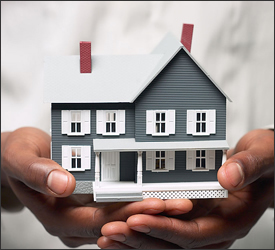 Your home is a valuable asset. Seemingly low-priced services can often lead to poor results because there is not enough staffing at the management company to provide the level of service you desire. That is not a problem at DOVE PROPERTY MANAGEMENT. We pride ourselves in maintaining the highest level of service to our clients.